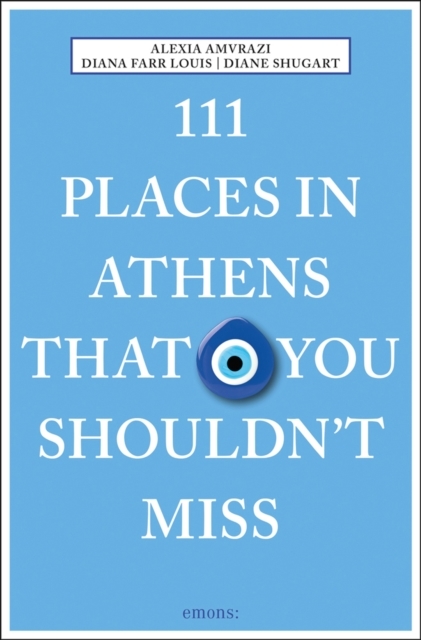 ATHENS Greece—(Weekly Hubris)—February 2019—You can’t go home again. We all know that. But what happens when your once upon a time home lies about ten minutes away from your present abode? I try not to enter that neighborhood, set back from the busy thoroughfare between Kifissias Avenue and Melissia in a part of Maroussi called Alonia, because in a past more distant than my own it was an area of threshing floors. But one afternoon a couple of weeks ago, we were stuck in traffic there and on impulse I turned right into our old street to take a short cut. Driving through, I noticed a nerantziá, a Seville orange tree, bearing so much fruit that it was almost as orange as it was green. And the tree stood in its own in a small, unfenced clearing, claimed by no one and untainted by carbon monoxide, unlike most of these very decorative trees that line so many Athens streets. I made a mental note to go and plunder it, since this is marmalade season and my supply was running out. So, I returned a couple of days later, in late afternoon when I thought few people would be about, with a deep basket. Luckily, I hadn’t delayed. Someone else had already stripped the tree of half its fruit, but there was still ample and I did not denude it, picking carefully and thanking it profusely. The oranges gleamed, they were so unblemished and healthy. I tucked the basket into the car and decided to walk round the block. It was then that I began to feel like Rip Van Winkle. Nothing in our old neighborhood bears any resemblance to the charming quarter of only 20 years ago. When I first arrived, the streets were unpaved and occasionally hosted flocks of sheep. Now they are cobbled! Back then, every house had a garden, and a pretty large one; only two 80s apartment dwellings later proved the exception to the rule. Not a single one-family house has been left standing. Apartment complexes cover almost every inch of green; three huge monoliths crowd the plot where my first husband’s grandmother built her three-story mansion, and their bulk casts a pall over the narrow street. As for our own pink cottage with delphinium-blue shutters, it’s been replaced by a more attractive building that resembles a Mondrian painting, but that’s no consolation. All that remains of our past are the two massive cypresses that used to frame our entrance gate. 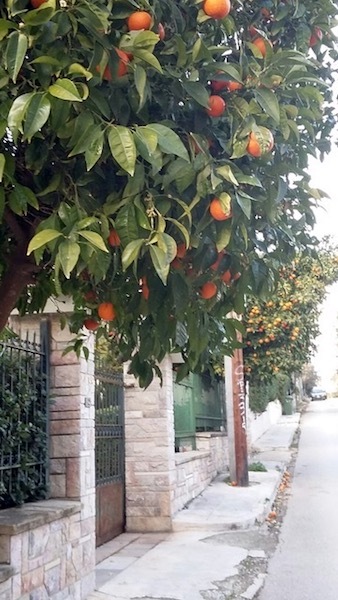 Bitter orange trees are found all over the city, from Syntagma to the suburbs. Perhaps they should have been bulldozed, too. Then there would be no trigger to remind me of the wonderful trees that surrounded our cottage: almond trees, peach and apricot, lemon and frappa (a kind of citrus), four glorious figs that we should have cloned, three olive trees, and a row of insidious eucalyptus whose roots liked to knit themselves into a dense ball inside our drains. There had been two other cypresses as well, until a strange tornado-like wind swept through the neighborhood in the mid-70s and felled one, leaving the other bereft. I find myself longing for the vanished hedge of lilac and yellow winter jasmine, the white jasmine espaliered on the north wall, the Russian vine that formed a canopy between the gate and front door, the orange trumpet vine that spread its flamboyant arcs around the stucco façade on the south side, the colonies of purple irises and acanthus and the luxuriant bed of rosemary under the eucalyptus. No trace of them exists, apart from the rosemary hedge on Andros that we grew from cuttings. Sadder still, so few of us are left who have the faintest idea of what went on in that little house, the love that went into its building, the joys and sorrows that permeated its walls . . . . 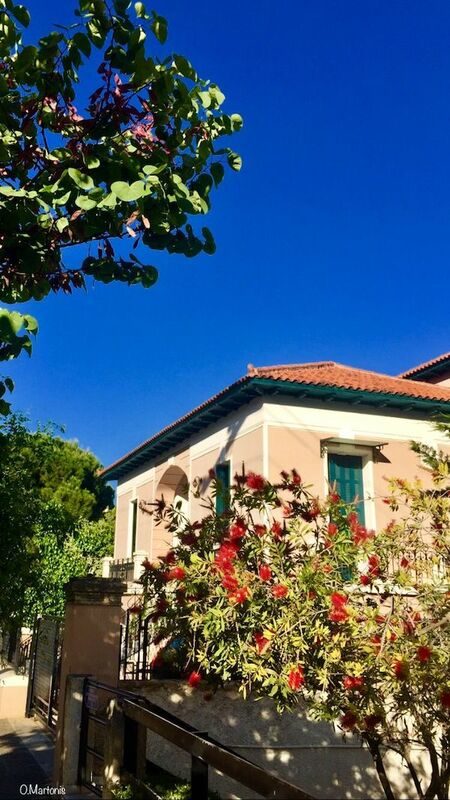 It was originally intended to be an eventual home for Eleni, the 13-year-old from Ikaria who had joined the Ladas family when my first husband was born in 1920. Her mother was the cook, and a real nanny had been hired to look after his sister Marina when she was born 13 months earlier, but two babies were considered far too much work for one person. Dora and Christos lived in a mansion they’d constructed nearby—now the Ursuline convent—but not for long. A stock broker, he died of peritonitis, complications from an ulcer possibly brought on by anxiety after the Crash. After that, Dora (whom I would know as Dodo) sold the big house to an American archaeologist and his wife and moved into the pink cottage, building a separate two-room house for Eleni on the plot. Although the circumstances were sad, everyone—friends and family alike—always spoke of the “spitaki” as a happy place. Despite its humble size (compared to other houses of the day), people seemed to have more fun there than anywhere else. The house was always open, even if by some fluke the front and kitchen doors were locked: the one off the dining room was always forgotten, as Fani, a pal of Marina’s, told me when I found her sitting there grinning as I arrived home, thinking I’d closed up properly. The jolliness ended with the Occupation. Alexi escaped to Crete and Egypt on the same boat from Kalamata as Lawrence Durrell and his wife. When they reached Crete, they found (begged/borrowed/stole?) a sailboat to take them to Alexandria and remained friends for decades. Marina escaped to Turkey and joined her future husband, journalist Cy Sulzberger, married in Beirut, and spent the war in Cairo. Dodo, on the other hand, had to surrender the cottage to the Germans and moved in with the Vanderpools. 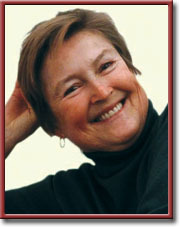 She and Joan looked after the four children, their father having been sent to prison camp in Germany on the theory that all foreign archaeologists were spies. Dodo prepared for the coming deprivation by stockpiling demijohns of ouzo and cartons of cigarettes. Before she left the house, she hid Alexi’s shotguns in the garden well, where they rusted away undiscovered. When I moved there in 1972, a carpenter who’d become a friend remembered a rumor that the Nazis had hidden gold in the house and spent one whole morning tapping the walls for a clue. I also learned from a tearful car mechanic that Dodo and Joan had saved his life and those of many other Maroussi children with their soup kitchen during the war. Between those years and my own arrival, various English families rented the house—which was known for its parties—and the last tenant was Dodo’s cousin, Andreas Londos, who had been Alexi’s commanding officer during his derring-do days with the schooner flotilla in the Eastern Aegean in 1943-44, and his English wife, Joanna. When Andreas died, conveniently just before I was hoping to move from Rapallo to Athens, Joanna and her mother were asked to leave. When I first saw the house, on a lightning visit on the May Day weekend, it was so cluttered with English furniture and bric-a-brac that I despaired of being happy there. But a month later, when I returned with my son and my few belongings—treasured cooking pots, “Gourmet” magazines, records, and my mother’s silver—it was bare except for a couple of beds and a trio of giant armoires. Two big rooms plus a kitchen downstairs, built-in shelves and cabinets, a generous fireplace and, upstairs, a huge open landing, biggish bedroom, bath, the so-called pagoniera (ice box), just large enough to fit a single bed, and a delicious closed balcony that led onto a terrace. Wasted space, much of it would be called nowadays, but we luxuriated in it. And happily camped out with only the kitchen basics and one new bed for the whole summer, padding barefoot on its gleaming red tile floors. 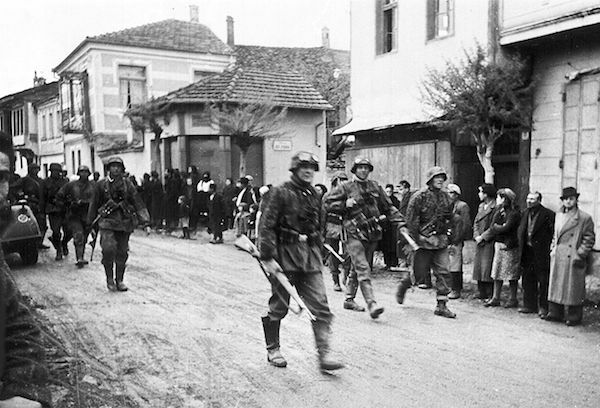 We had also arrived in a real neighborhood and were given a warm welcome when we rolled up in our Fiat 500, the rest of our stuff to be delivered the next day from Piraeus, for we had sailed from Genoa. Women who would remain supportive blessed us with sheets and towels, plates and cutlery, even a pot of food though I have no memory of what it might have been. And there were ready-made friends for my little boy just across the street. We seemed to slip right in. I don’t recall a single moment of feeling lonely, fearful, or anything less than at home in my new surroundings, certainly never an instance of regret. The little house cossetted us. We loved it and it loved us back. Its thick walls made it warm in winter, cool in summer, though we mostly lived outdoors in the courtyard between the kitchen and Eleni’s annex, though she never claimed it. With a table permanently standing between an olive tree, conveniently ringed with cement for extra seating, and a clump of oleanders that hid the pump, plus a barrel of home-made retsina ready for tapping next to the kitchen door, we were set up for parties from Easter through October. But you mustn’t think we did nothing but throw parties. We were happy on our own, utterly safe, totally spoiled. A key factor in our well-being was Christina, another angel from Ikaria, who looked after us. She cooked, cleaned, baby sat, hung May wreaths on the front door before sunrise, told stories about her eleven siblings, her one brother’s family on Evia who slept in shifts in their one bed—the boys during the day since they worked nights at some mine, the mother, who had a mouthful of gold teeth, and daughter at night. She was gracious and generous, but when Panayioti the dog and Josephine the cat heard her cheery Kalimera, they fell over each other trying to get out the back door. She could not abide their shedding. And I will leave with that exhortation, returning next month with more stories of Maroussi since “l’appetit vient en mangeant” or the appetite (for stories) comes with the telling (rather than eating) and there is no space here to do the pink cottage justice. This cauliflower, though too beautiful to eat, works just fine in this gratin, if you can bear to chop it up. And here is a recipe I often fall back on during these winter months. It’s a variation on Cauliflower Cheese or Cauliflower Gratin, but I make it with broth not milk, which makes it lighter. I also make it with whatever brassicas happen to be around. 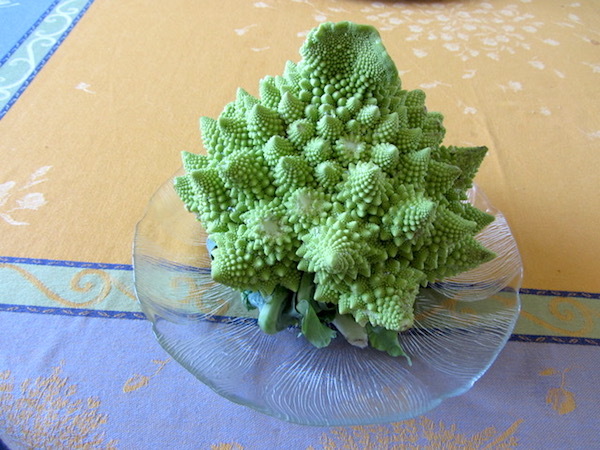 Lately, one stall in our organic farmers’ market has been selling purple and green broccoli, purple, yellow and white cauliflower, and that fractalized light- green variety that seems to be constructed of little Christmas trees too attractive to eat. Bring 3-4 cups of water to the boil with the condensed broth and then add the cauliflower. Simmer until al dente. Drain in a colander, reserving the broth. Put into a Pyrex dish and scatter the capers, tomatoes, and bacon, if using, over the vegetables. Make a béchamel sauce by melting the butter in a medium saucepan, then stir in the flour with a wire whisk (of the flattish kind) and let brown a tiny bit. Pour in a cup or two of the broth, stir until smooth. And gradually add more until you have enough sauce to amply cover your cauliflower. You may not need all the broth, but you can drink it the next day with a squeeze of lemon and warmed in the microwave. Stir in the red and black pepper, stir in a couple of handfuls of grated cheese (I most often use Cretan graviera, but this obviously depends on what you have on hand). Pour the sauce over the veg and sprinkle with more grated cheese. Stick into a hot oven and brown—this should take 10-15 minutes. And then gobble it up. Variations: sometimes I add a little arugula to the mess; sometimes a bit of white wine to the sauce. Diana, I don’t know how you manage to write about a lost house that was once so full of joy and love, without turning it into a universal story of woe. Instead, you remind us that what makes these places (and times) so precious is the power of what actually happened there, and that the way you tell the stories you know is like telling us “Yes! Nobody can take away the love and beauty that actually occurs.” We learn from these stories to keep on making new memories of love and beauty — this is one of the things humans still can do, and must! Thank you, dearest Anita. Beautifully said, I wish we could tell each other stories in person. as always enjoyed reading this Diana.